Villa Lavande is a luxurious villa located in the small town of Clara, France. The property sleeps up to 12 people and boasts a private swimming pool, six double bedrooms and large un-overlooked grounds. 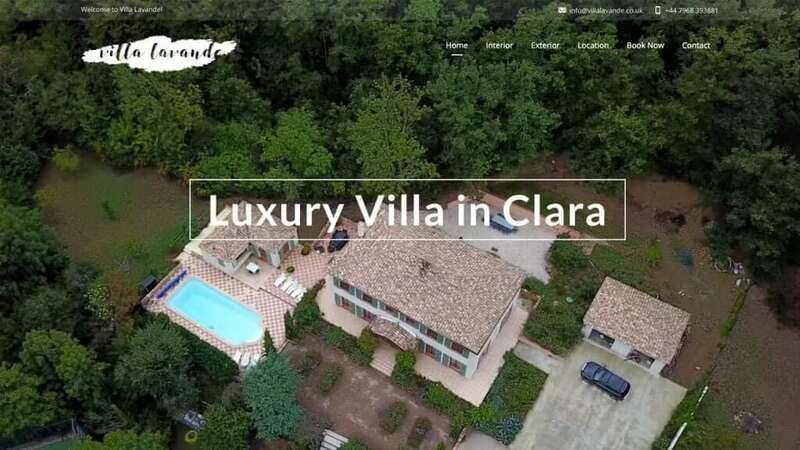 We were approached by the client to create a modern website for the villa to help increase their client base and get the property out there for new potential guests to discover. We did this by choosing a minimalistic design to showcase the property and provide a UX focused website for all visitors to enjoy. The website makes use of video, parallax image scrolling and micro animations.